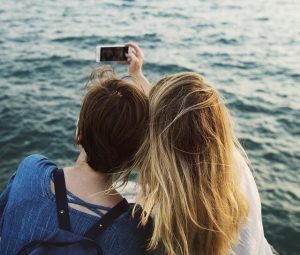 Free online storage spaces are simply not enough to hold all of the photos that an average smartphone user requires. Unfortunately, the monthly fees for paid backup plans are expensive and out of the budget of many individuals. 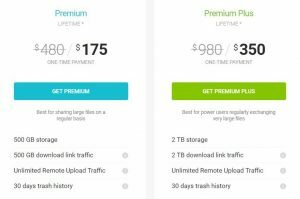 Unlike its pricey competition, pCloud requires only a one time fee to provide lifetime storage up to 2TB. The entire principle of pCloud is, “pay once and store for life.” You can choose from two plans: the Premium Plan or the Premium Plus Plan. The Premium Plus Plan is ideal for personal users or businesses who regularly exchange large files. The basic Premium Plan is geared towards normal users who want to back up their family photos and small files for life. pCloud provides numerous benefits over its competitors such as Dropbox. pCloud creates a virtual drive for storage. Exchange information and transfer files with other accounts, such as social media and online backup services, with only a few clicks. The main feature of pCloud is the ability to access your photos and files using all of your devices. Also, if you want to import from other companies like Facebook or Dropbox all you have to do is a few clicks and your items will be safely secured on pCloud. You can then share them and collaborate to your heart’s content. Isn’t it time to secure your memories for life by purchasing the unlimited storage capacity and speed of pCloud? The availability of the pCloud lifetime plans may be limited so hurry up and purchase your space. Once you make the decision to pay the pCloud one time fee your worries about time will end. The service will always be available and ready to store your most precious memories and files. The Premium Plan: For a one time fee of $125, you are provided with 500 GB storage and 500 GB of download link traffic. 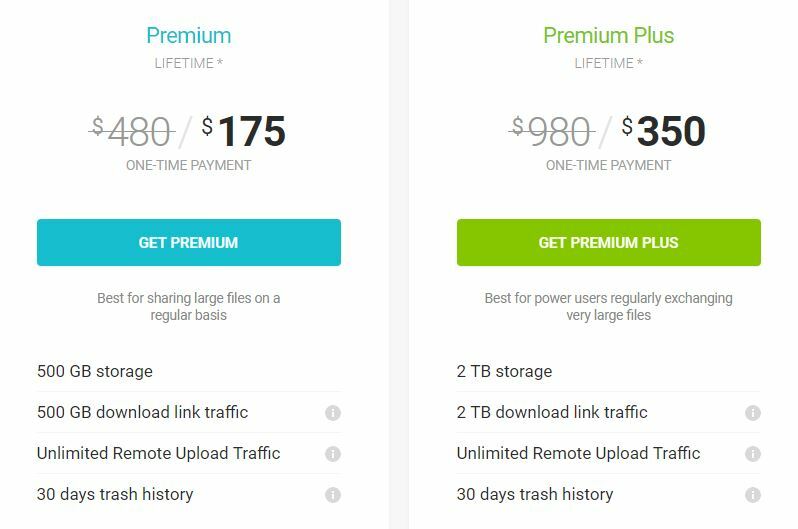 The Premium Plus: For a one time fee of $250, you are provided with 2 TB storage and 2 TB download link traffic.